This week's challenge at I Heart Faces is about things that are up in the air, or over our heads . . . not normally my grandson, but in this case he was. 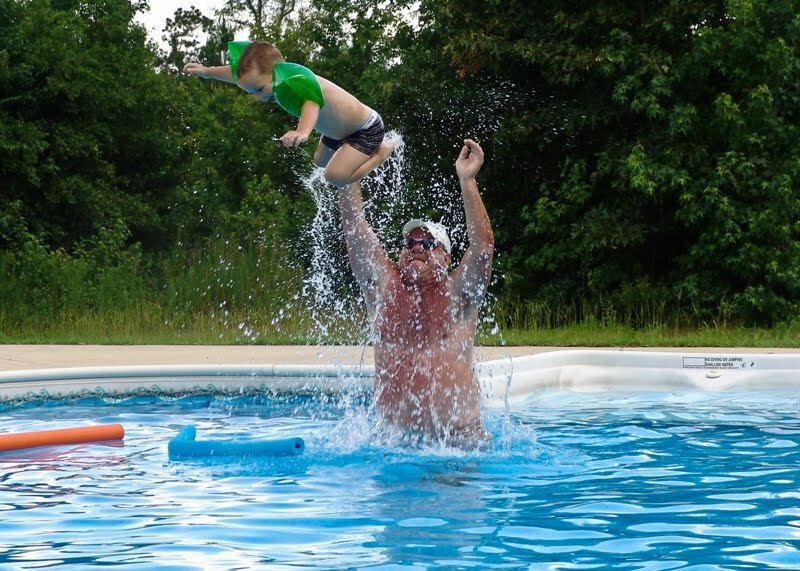 Uncle T. was throwing Clark Bar over his head in our pool. As you can see they are both having lots of fun. This is one of my favorite captures in the pool. I do realize there were some great volleyball photos from this past July 4th, but none of them as awesome as this one. 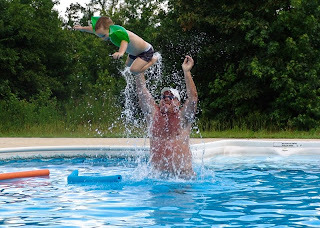 I've been tossed in the pool many a time, though I am much to big for that now! So much fun though. Great action shot! LOVE it! My dad used to do that to me and I couldn't get enough!